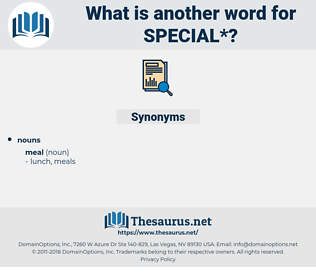 What is another word for special? privileged, remarkable, wonderful, preferential, phenomenal, purpose-built, distinct, tremendous, spec-tacular, asset-specific, strange, singular, specialist, special-topic, characteristic, private, sensational, fantastic, spectacular, significant, terrific, general-, critical, binational, excellent, splendid, privately-owned, application-specific, impressive. specific, matters, issues, decisions, sets, questions, Les, tools, utilities, speciale, specialist, private, srsgspecial. Specialists, characteristics, officials, specificities, purposes, privileges, prerogatives, advisers, developments, assistants, purchases, contributions, releases, requirements, commandos, Disabilities, arrangements, conclusions, Incentives, Measures, Opportunities, Rights, applications, Programs, instruments, mandates, officers, events, Governments, courts, holders, situations, targets, kids, regions, Areas, Efforts, requests, Freedoms, products, members, functions, issues, utilities. 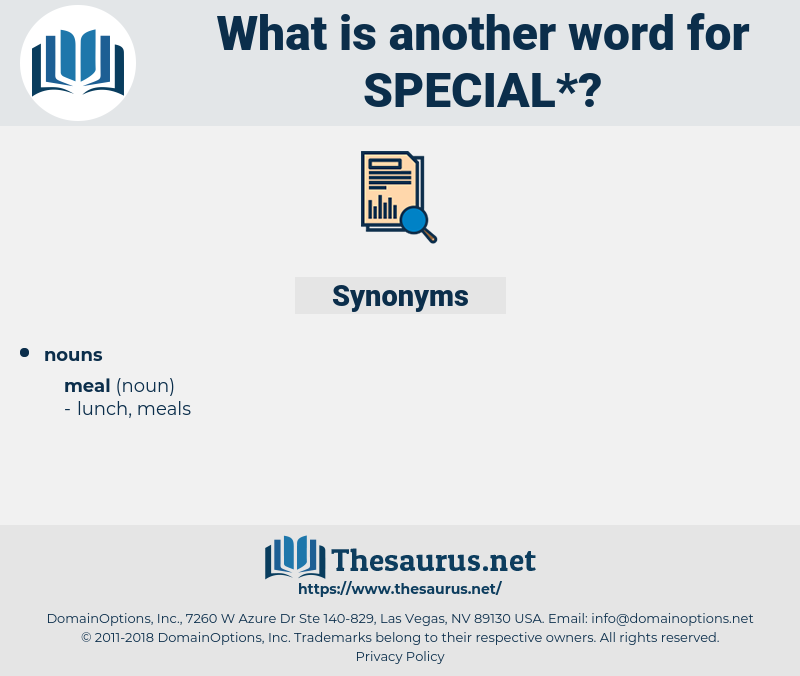 Rights, Les, speciale, specialist, specialising. emphasized, Wished, attached, agreed, stressed, granted, Had, Was, regarding, made. dealing, Pertaining, Noting, Involving, concerning, giving, belonging, warning, taking, regarding, surrounding. includes, pays, attaches, aims, specific. indefinite, general, worst, Indistinctive, similar, undistinguished, normal, unlimited, unsuitable, insignificant, regular, uncertain, like, Familiar, commonplace, ordinary, unnoteworthy, common, usual, improper, ok, minor, conventional, unimportant, unrestricted, secondary, least, standard. rampant, unfavorite, despised, heterogenous, estranged, forgotten, recurrent, myriad, assorted, abandoned, ignored, promiscuous, motley, miscellaneous, nonexclusive, perennial, scheduled, unspecialised, mixed, manifold, generalized, patchwork, varied, unbeloved, detested, alienated, divers, prevalent, disliked, universal, multifarious, generic, repeated, hated. To her great annoyance, however, Mary took this all very coolly and without any special excitement. And was that for fun, or for any special reason? spacial, spiegel, Schizaea Pusilla, specially, Spike Lee, spicily, spookily, sphacele, speckle, spizella, savagely, ship's galley, spackle, spousal, spike oil, spicule, spaciously, Scops Owl, subsoil, spike heel, supposal. offering, television show, offer, television program, Tv Show, Tv Program.